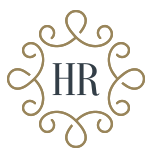 Hugo Ridge Interiors provides an exceptional bespoke interior design service, adding a personal touch to each project, following closely each clients brief to transform their homes into beautiful living spaces. Combining your vision with our expertise, you will be left with outstanding results catered to your needs. If you are interested in purchasing a bespoke scheme, to arrange an initial free no-obligation home visit please contact our team of designers.